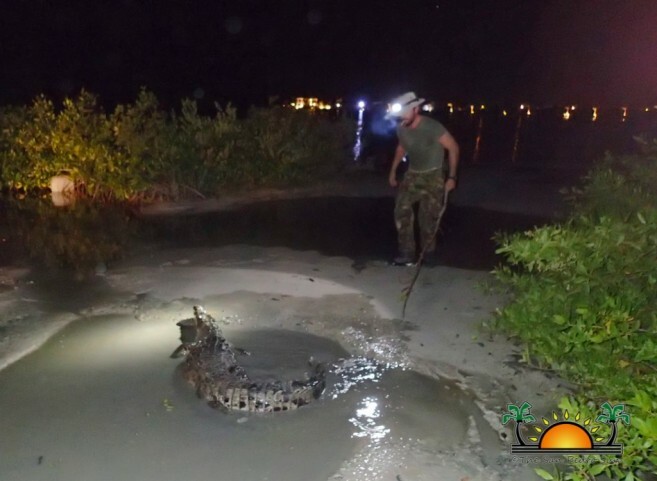 Crocodilians are one of the longest surviving creatures on the planet, and encountering an American Crocodile on Ambergris Caye is definitely not an unusual occurrence. Residents living near mangrove waterways in areas such as San Pablo, San Mateo, and DFC frequently report sightings of these reptiles. 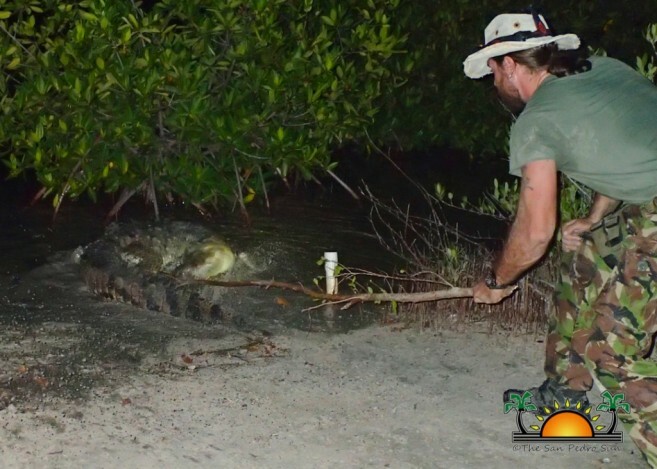 In October alone, Ambergris Crocodile Education Sanctuary (ACES) has rescued and relocated three adults and one sub-adult from populated areas. For Chris Summers of ACES, wrangling crocodiles, especially when it’s been raining, is just part of his regular routine. “Since the rainy season is currently in effect, there are generally more sightings of crocodiles due to the rising waters. Even young crocodiles tend to travel to populated areas by moving through flooded areas. 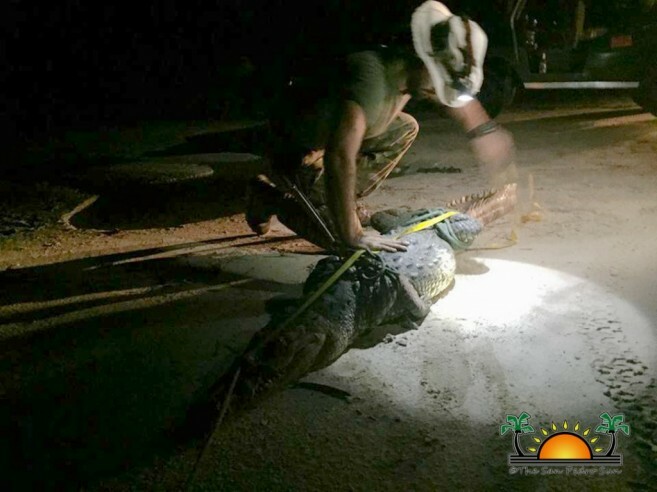 Once I rescue a croc, my job is to examine the wild animal, take measurements, data and then relocate it to a less populated area of the island,” said Summers. 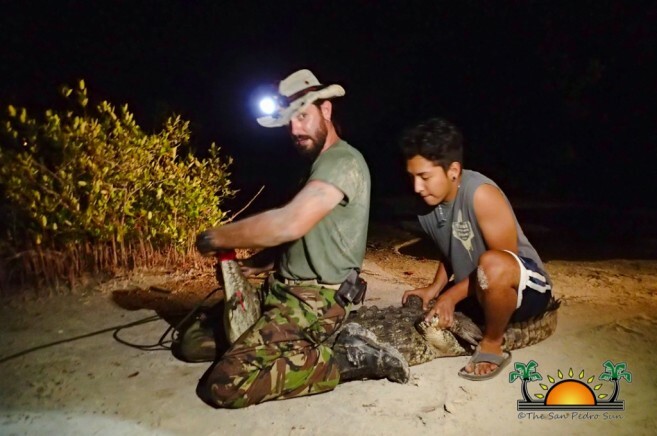 Founded in 2006, ACES is committed to the conservation of Belize's critical wetland habitats and protected species, specifically Crocodilians, through scientific research and education to preserve wildlife for future generations. They advise residents living near mangroves to be aware of their surroundings, and to take necessary precautions. Summer states that many cases of crocodiles eating dog/cats have been reported. Therefore, he encourages residents to put up a fence to not only protect pets, but to also stop crocodiles from entering their yard. 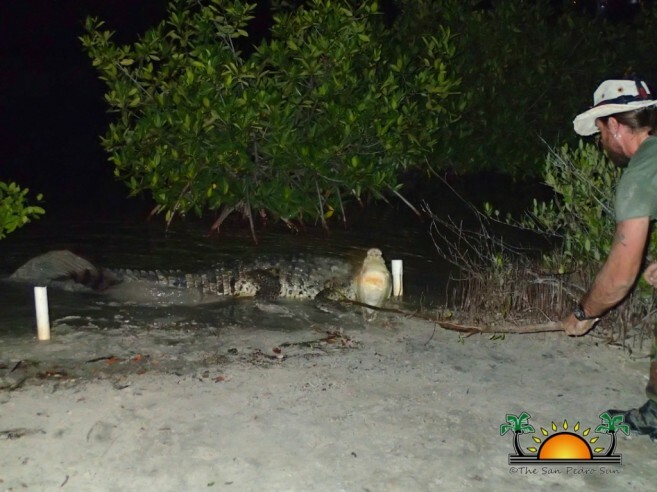 Since excessive garbage can attract crocodiles and the creatures they prey on, throwing food scraps out into the lagoon instead of throwing it in the trash can encourage them to frequent the area. According to Summers, crocodiles should not be judged as vicious predators, as they play an important role in the ecosystem. “As an apex predator, they control the environment around them because of what they eat. Just like the wolves in Yellowstone Park, and bears in Colorado. Here, crocs help to control the fish population by eating fish and rodents. They stop the population from over-breeding, which is a good thing. Another of their favorite foods is raccoons. A healthy croc population, means a healthy and balanced raccoon population by stopping them from becoming too many,” said Summers. Summers also shared that crocs are an indicator species. “Because of the food crocs eat, and the waters they live in, studying the health of them can tell us a lot about the health of the environment they live in.” He mentioned that the excessive garbage issue on the island can be blamed for amount of sick crocodiles they have accessed, and ACES strongly encourages everyone to dispose of their garbage properly to help prevent trash from seeping into the lagoon.